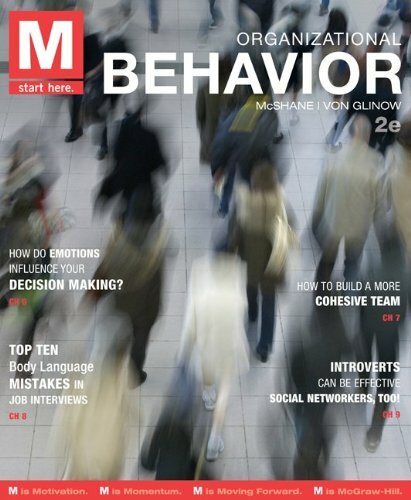 M: Organizational Behavior, 2e provides the essential OB knowledge to students in an accessible, student focused presentation. This text builds on the strengths of the main textbook, including a strong literature foundation, excellent readability, meaningful exhibits, global representation of examples, and presentation of both core and emerging topics. McShane/Von Glinow allows students to practice applying concepts via Connect.M: Organizational Behavior: Connecting students to the world of OB.